This recipe was inspired by the bountiful amount of fresh cut broccoli rabe that my dear neighbor Barb continues to gift me. 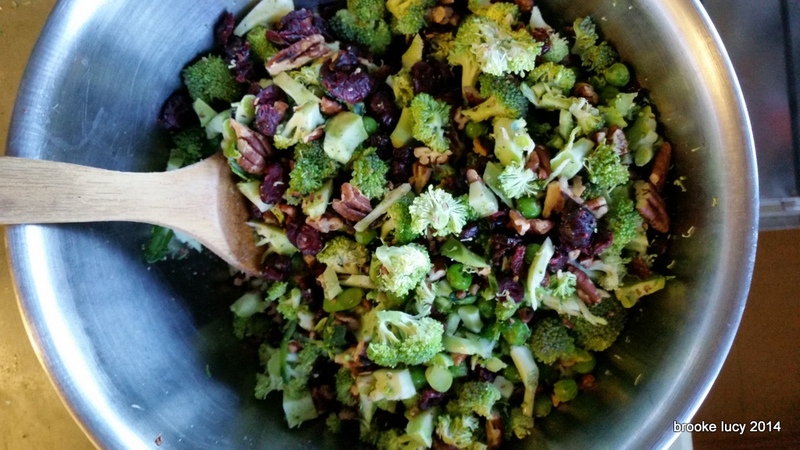 The abundance of broccoli, along with my need to creatively find a way to get my kids to eat it, was the inspiration behind this recipe. I think you will find that honey mustard dressing is pretty much the trick for getting kids to eat any vegetable. This recipe can also be made ahead of time. 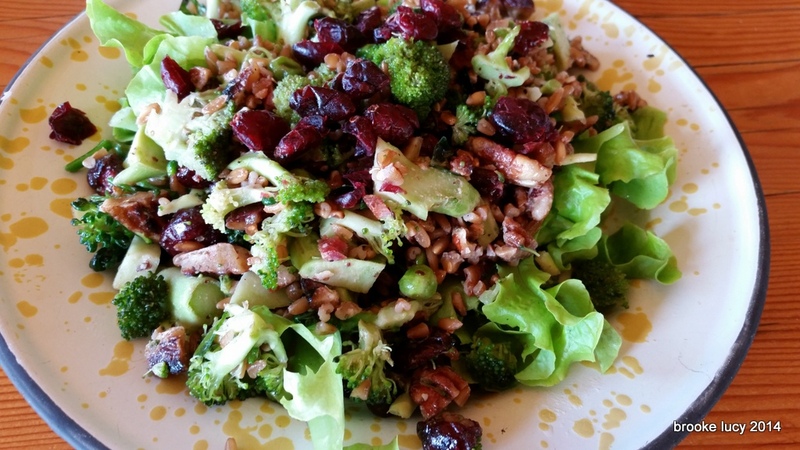 You can marinate the broccoli, onions, and farro for up to 8 hours before serving time. In small bowl add together: Dijon mustard, honey, olive oil, lemon juice, and garlic. Whisk vigorsly (3-4 minutes) until all ingredients are thoroughly incorporated. 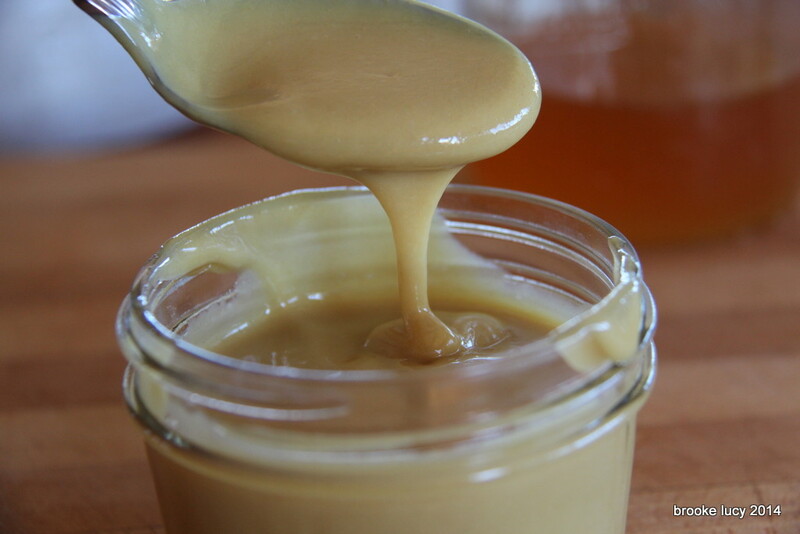 Dressing should be creamy. 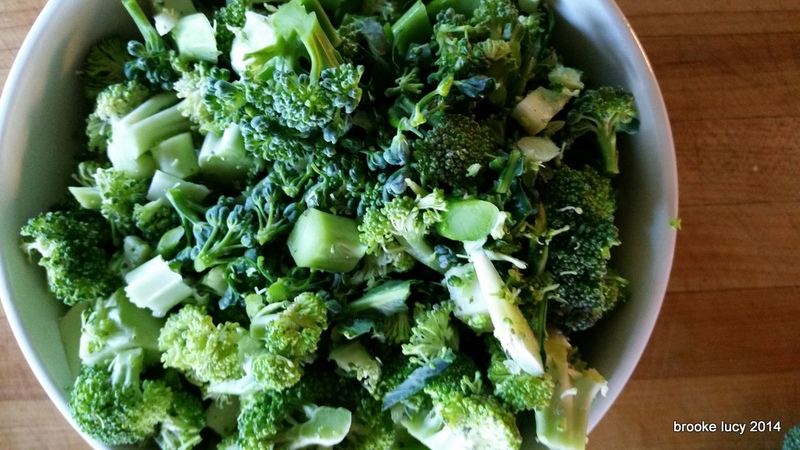 Chop broccoli rabe (stems and all) into small bite size pieces. Dice onion. Blend rabe and onion in large bowl along with cooled emmer farro. Dress ingredients with 1/2 cup of the honey mustard dressing and stir until well combined (save the remaining dressing for later). Place marinating rabe in refrigerator for at least 30 minutes (this can marinate 2-3 hours before serving). While the blend is in the refrigerator; cook slices of bacon until browned. Turn off heat. Place strips of bacon on a paper towel and allow slices to cool. Crumble into small pieces, set aside. Reserve 1 tablespoon of bacon grease in cast iron skillet. 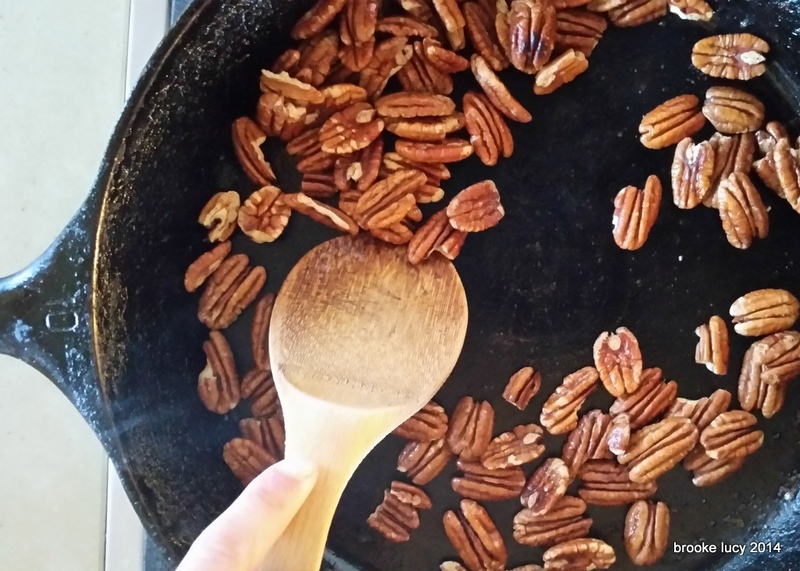 Roast whole nuts in bacon grease until browned, cool in separate bowl then chop coarsely. Set aside bacon, nuts, cranberries and frozen peas until ready to serve. Peas should remain in the freezer until salad is ready to serve. Just before serving add: dried cranberries, nuts, and frozen peas to rabe-farro blend. Mix all ingredients together until well blended. If salad seems dry, add remaining dressing or a little extra olive oil. Top with crumbled bacon. Serve alone or on top of freshly picked greens.